An additional source of ascorbic acid and natural polyphenols. It helps regulating lipid and carbohydrate metabolisms, strengthening blood vessels walls and reducing capillary permeability, improving mental and physical working capacity; it has antioxidative properties. 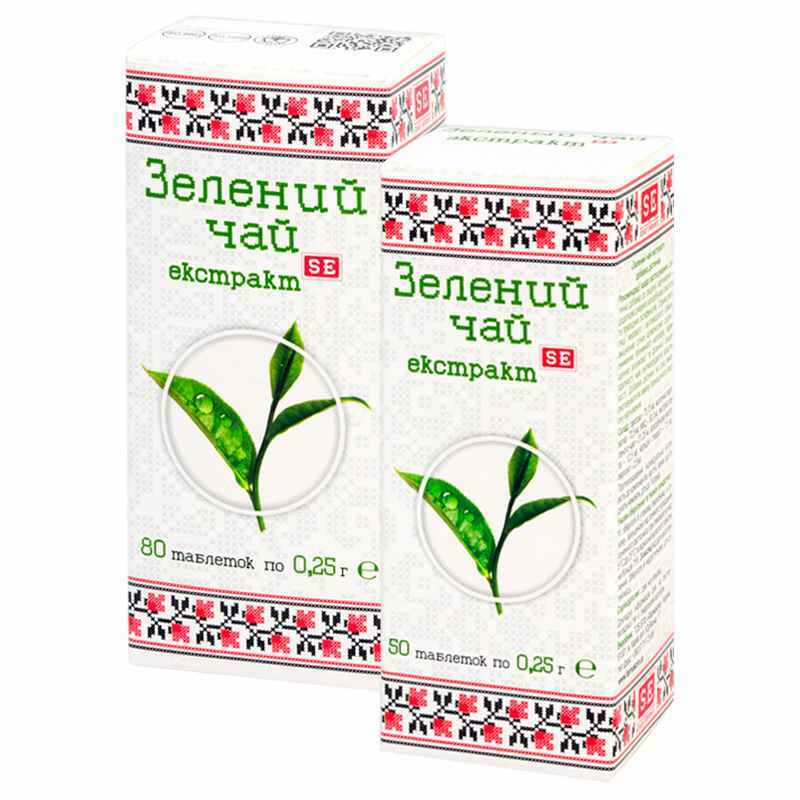 Green tea extract – 31.25 mg, ascorbic acid – 12.5 mg, excipients. Biologically active ingredients in green tea regulate lipid and carbohydrate metabolism, provide for weight normalization, increase in endurance in case of physical and mental loads. Polyphenols (catechin, epicatechin etc.) in green tea have expressed vitamin P activity – strengthen vascular walls, make them more elastic, promote reduction of capillary fragility and permeability. In addition to polyphenols, green tea contains caffeine, theophylline, tannins, having light tonic effect. Polyphenols also provide high antioxidative action, protect body cells from negative impact of free radicals, hamper body ageing processes, osteoporosis, diabetes, oncological diseases development. Great amount of various amino acids, ascorbic acid, macro- and microelements in green tea have positive general effect on the human body. Ascorbic acid (vitamin C) is an active participant of oxidation-reduction processes regulation in the body; it regulates carbohydrate metabolism, blood clotting process, tissues regeneration, reduces vascular walls permeability, has expressed antioxidative properties. Adults take 1 tablet thrice a day with food, wash down with water. Term of use – 1 month. Repeat in 10-14 days break if necessary. Proteins – 1.12 g, carbohydrates – 5.77 g, fats – 0.123 g.